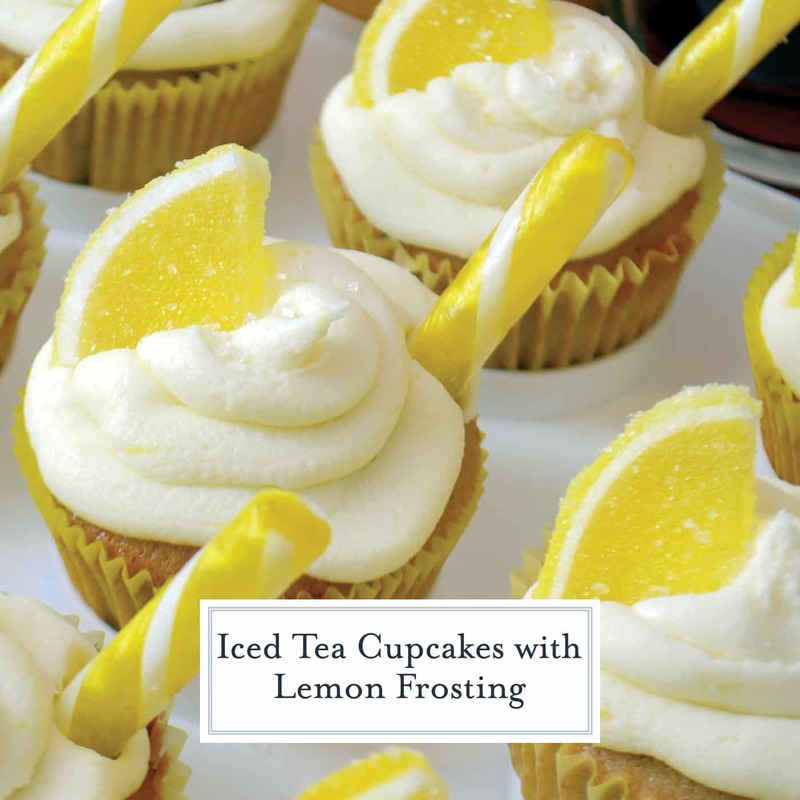 Iced Tea Cupcakes with Lemon Frosting are the perfect, refreshing summertime treat! 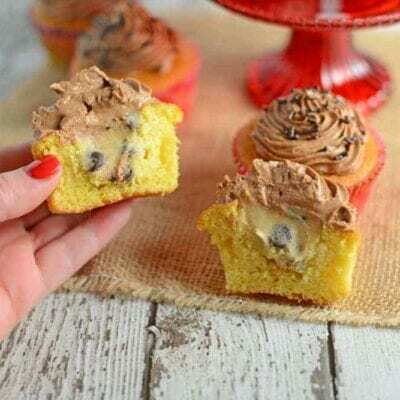 Everyone is going to enjoy these scrumptious cupcakes. 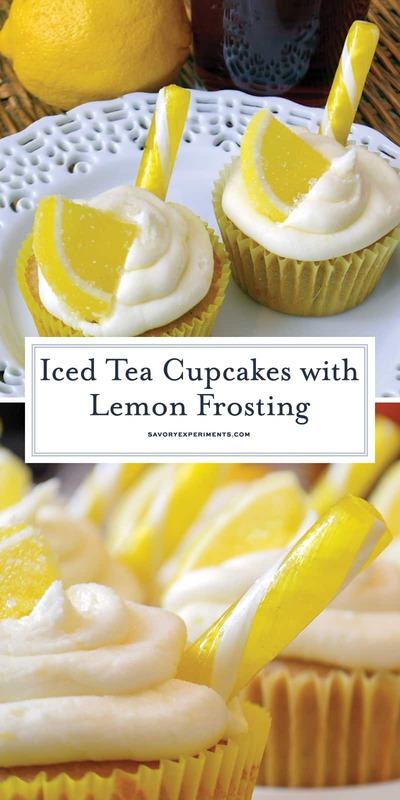 Iced Tea Cupcakes with Lemon Frosting is a homemade cupcake recipe made from sweet iced tea! 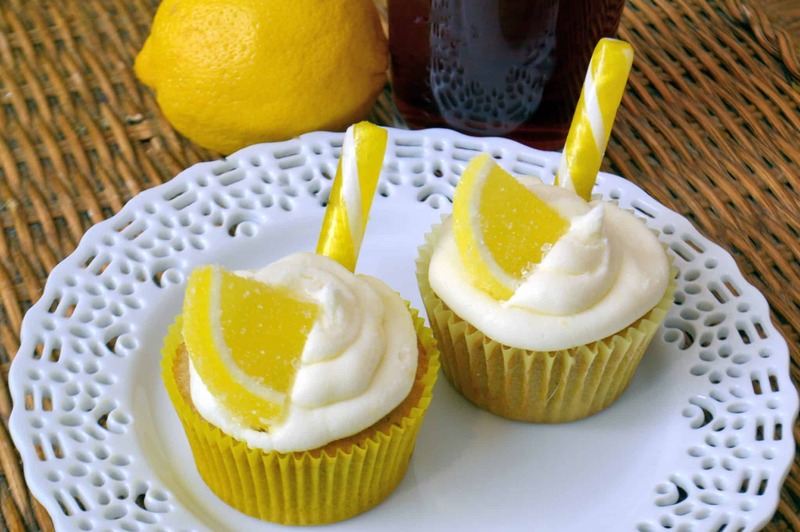 These cute cupcakes with lemon and sweet tea flavors are perfect for summer BBQs and parties. 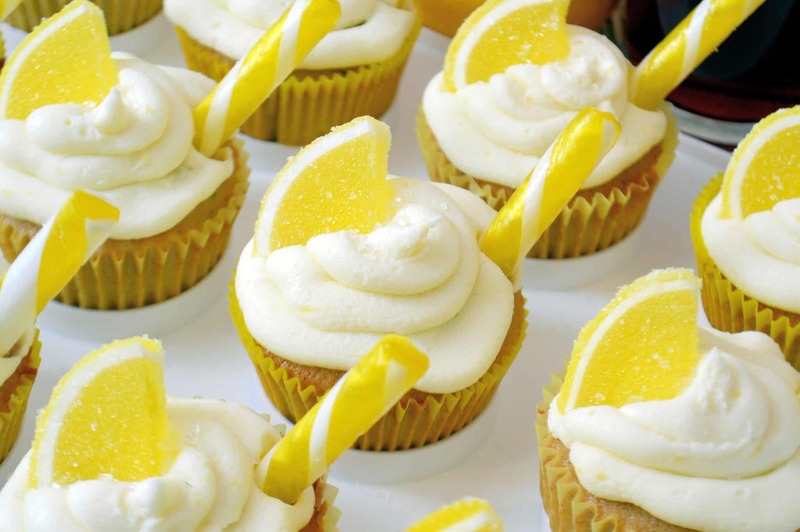 Your guests will love these deliciously fun lemon cupcakes! This is one of the best summer cupcake ideas I have come across. Refreshing citrus flavors with the taste of a cool glass of ice tea all wrapped up in a fluffy cupcake?! Yes, please! 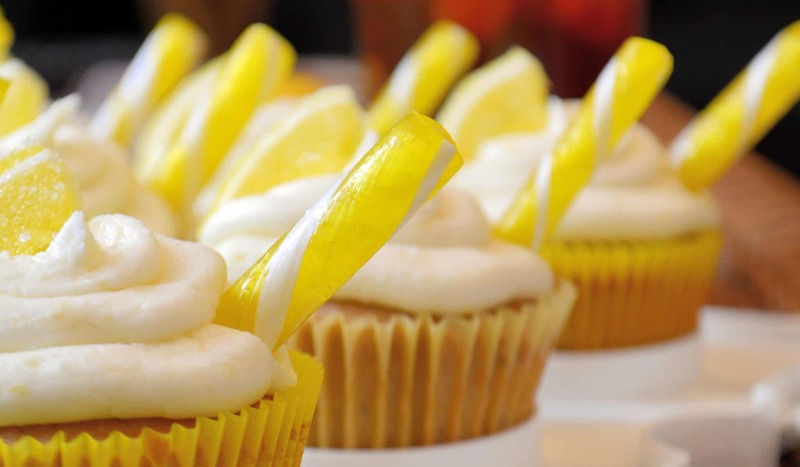 resemble straws and refreshing slices of lemon in these Iced Tea Cupcakes with Lemon Frosting. They are almost too cute to eat! Some of the feedback we have received is that people can’t really taste the tea. This will depend greatly on the type of tea you use and how strong it is. If you really like a heavy tea flavor, feel free to double the tea bags. A fun fact of the day if you didn’t already know is that an Arnold Palmer (iced tea and lemonade) is actually named after the American golfer, Arnold Palmer. Apparently he used to drink that combination at home and ordered it from the bar at the U.S. open in 1960. It has become legendary ever since. Maybe we should just call these Arnold Palmer Cupcakes . A lady overheard his order and asked for “that Palmer drink” which is supposedly where the name of the drink came from. He used to have his drink with 3 parts of iced tea and 1 part lemonade. Having equal halves of lemonade to ice tea is where the term half and half came from. When Arnold Palmer would order his signature drink, he would say “I’ll have a Mr. Palmer.” In his hometown they would just serve it to him without being asked because they said he shouldn’t have to order his own drink named after him. Since 2001 when Arnold Palmer signed a deal with the Arizona beverage company, his famous drink has been sold around America and become apart of the American culture not only through golf, but also through his creation of this refreshing drink! You can find a can of it with his picture on it. Depending on where you are in the country, or what is added, this concoction can have different names. The skinny is that half iced tea and half lemonade is known around the golf club as an Arnold Palmer. In other areas it is simply called a Half & Half. Add vodka and now you have a John Daly, the drinking, smoking second cousin of Arnold Palmer (please note that the actual people are NOT related). Regardless of what you call it, I think I can speak on behalf of everyone when I say thank you Mr. Palmer for creating this amazing drink… and now amazing cupcakes. Muffin Tin– I really suggest having two muffin tins. It makes life a lot easier than baking in two batches and double the cook time. 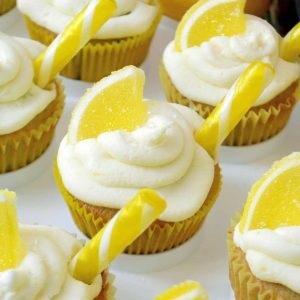 Iced Tea Cupcakes with Lemon Frosting Recipe- a cupcake recipe for iced tea lemonade. Cute cupcakes with lemon and sweet tea flavors, perfect for summer BBQs and parties. It is an Arnold Palmer for dessert! Pour milk into a microwave safe container that has at least 1-2 inches of space at the top. Microwave on high for 45 seconds. Unwrap 5 black tea bags and place into the milk. Repeat this process with 1/2 cup water and the remaining 5 black tea bags. Allow to steep for 15-20 minutes. Preheat oven to 350 degrees and line 24 muffin tins with desired liners. 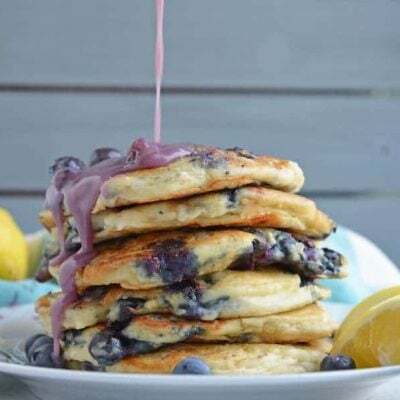 In a large mixing bowl or stand mixer fitted with a paddle attachment, cream together butter and sugar until creamy and fluffy. Beat in eggs, one at a time. After removing teabags, add 1/2 cup of milk/black tea mixture (discard the remaining milk). Remove tea bags from water and add all of the water/black tea mixture. Mix until combined. In a medium bowl, combine flour, baking powder and salt. Mix well and start to gradually mix into wet iced tea cupcake mixture. Spoon iced tea cupcake mixture evenly into 24 cupcake tins. 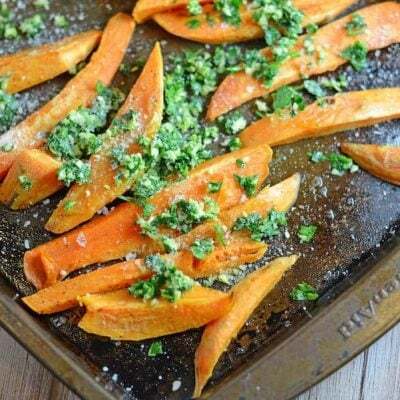 Bake for 22 minutes or until tops are lightly browned a spring back when pressed with your finger. Remove iced tea cupcakes and allow to fully cool. When cupcakes are cooled, start to make the lemon frosting Lemon frosting recipe will make just enough to frost 24 cupcakes. It will look like you need more, but trust me, it is just enough. 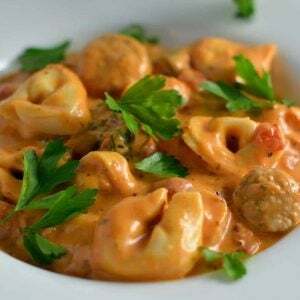 In a large mixing bowl or stand mixer fitted with a paddle attachment, cream together room temperature salted butter and butter flavored shortening until fully mixed and creamy. Add lemon extract and lemon zest. Gradually add powdered sugar until lemon frosting reaches a spreadable/pipe-able consistency. If you accidentally add too much powdered sugar and it gets too thick, thin out with a teaspoon of water. Using desired method, frost iced tea cupcakes with lemon frosting. Garnish with sparkling sugar, sugared lemon wedges and lemon candy sticks. 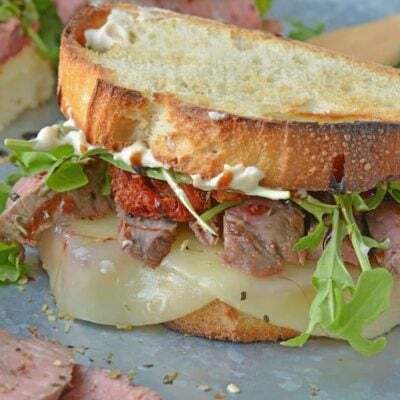 If you've tried this recipe, please come back and let us know how they were! These cupcakes are amazing…I used a different frosting though. Like one lady said, they were very dense though, You said maybe from over mixing…any other ideas? Definitely a hit in my house though. 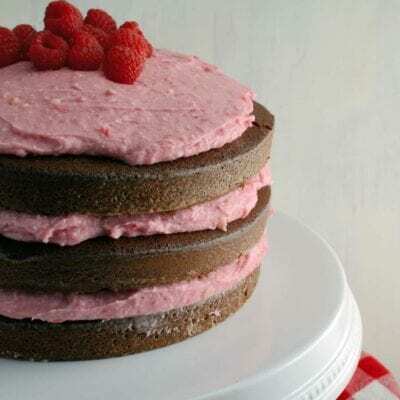 Topped with a homemade whip cream and fruit frosting. I’m so glad you enjoyed them Jenn! In my experience, the batter gets dense when they are over mixed. It also can make a difference what type of flour you used- was is All-Purpose? I LOVE the idea of a whipped cream frosting and fresh fruit. They must have been so pretty! It was an all purpose flour. I read increasing baking powder would help too. I’m sure my issue was over mixing. 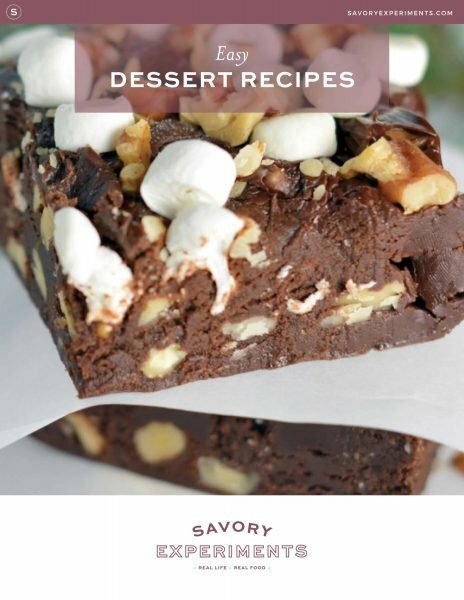 Anyone have trouble with falling / melting frosting? Hi Missy! I’m sorry you having trouble with the frosting. I have a few ideas- first, did you by any chance melt the butter to “soften” it? Often if you microwave it, it gets TOO soft, resulting in the wrong texture. 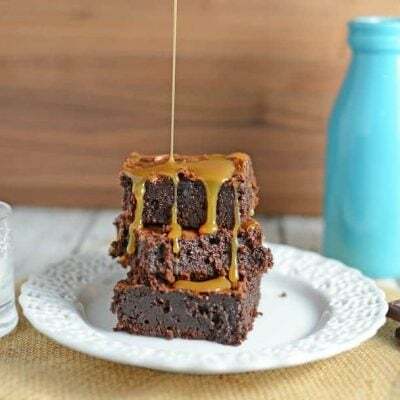 Different types of butter also have different water contents, if you find it being loose, add a little more powdered sugar until it reaches the right consistency and place the cupcakes in the fridge until they set. Of course, don’t store them in the sun or warm places. I hope that helps and you enjoy your cupcakes! I made these cupcakes this week, and the flavor was great! I have a couple of questions, though. They didn’t rise much and were really dense (almost put me in mind of cornbread consistency). My only thought was that maybe there’s a typo in the amount of baking powder? Or that it should have been soda? And the other question is about how much frosting you put on your cupcakes, because I’m definitely doubling the recipe next time I make these! Thanks so much for sharing. 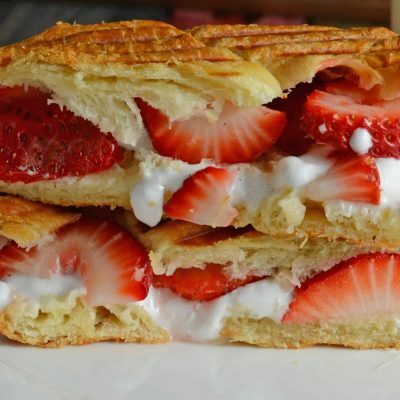 I’m going to a cookout tomorrow, and I’m going to make these again. Thank you for the feedback, Heather! You know, I haven’t made them in a little while. I will give them a whirl and see if maybe I made a mistake. Although I know a few other folks who made them successfully. My only question would be if you over mixed the batter? Over mixing can lead to a tough consistency of any baked good. I’ll let you know when I make them up again! Hi Jessica, I made these ice tea cupcakes tonight. I used 5 extra tea bags because I could not taste the tea in the batter. Which, tasted really good and moist. I even let the tea steep for longer than 20 minutes. Any suggestions on how to get more of a tea taste? Hi Kimberley! You know, I’ve encountered the same problem. I like mine to have a strong tea flavor as well. I’ve found that using a different brand of tea, with a higher “octane” if you will helps. I’ve also blended a small amount (maybe a tablespoon or so) of tea leaves directly into the batter. They look yummie. 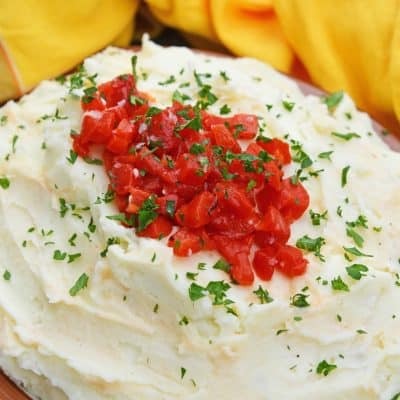 Can i use only butter instead of bitter and shortening. It’s very difficult to get in Spain. Sorry for the late response, I just saw this post. Yes, can use butter only. Let me know how they turn out! These sound amazing! I love anything with lemon, it one of my favorite flavors. 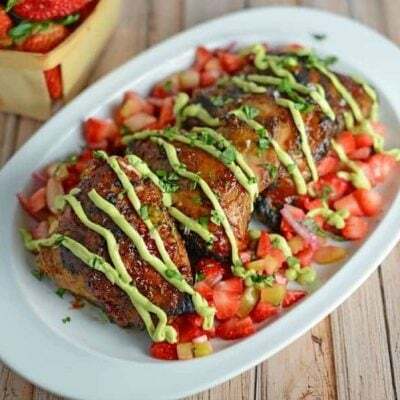 Thank you for sharing this recipe at Fluster’s Creative Muster. Now that you found our party I hope that you will continue to join us every Tuesday evening. Sure you will! Thank you for visiting! Wow, these are so cute…not to mention delicious!! 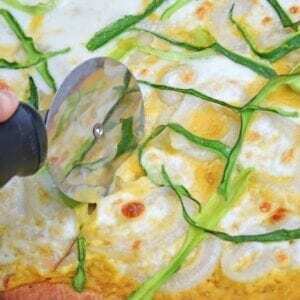 You’ve garnished them to perfection! Thank you! They are one of my favorites, no one ever wants to eat them because they are so cute. These are so cute!! 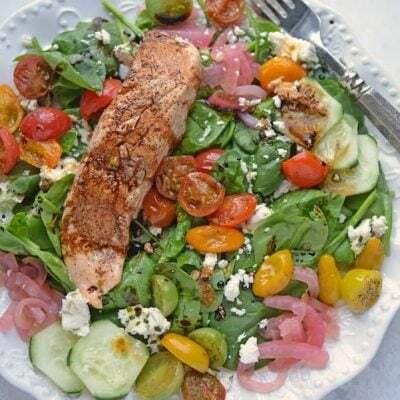 I love the garnish. Let me know how they turn out! I love feedback! cool!I can’t wait to try them! Isn’t it an Arnold Palmer? Thank you for your wonderful words! They were just as good as they look! Your cupcakes make me think of porches, swings and summer.